That’s not a map… THIS is a map! We’d been looking for a wall map and hadn’t found the right one. Till now. 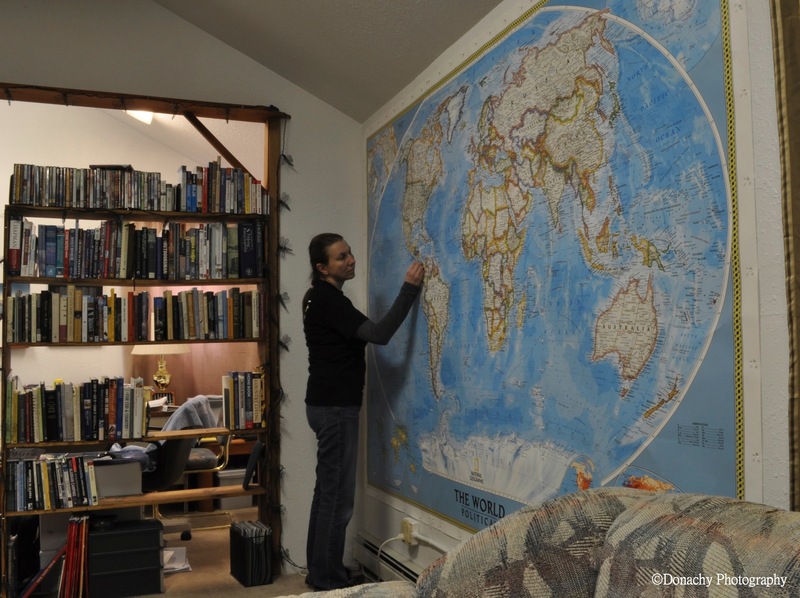 Advertised as a “wall mural,” this National Geographic map is 9′ 2″ wide by 6′ 4″ high and occupies a commanding place on our living room wall. 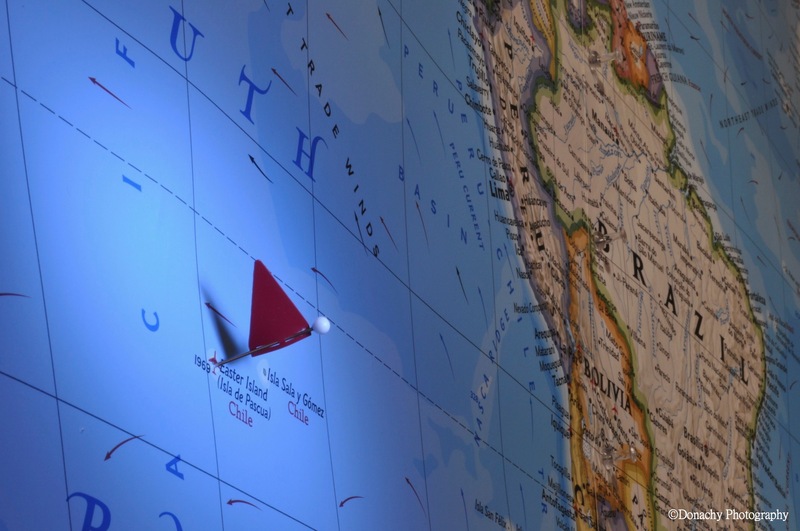 The map is made of vinyl coated wallpaper material, so it looks great and should be durable. We’ve begun using it to mark places we’ve been to and, more importantly, places we hope to visit. Flag pins with numbers correlate with brief descriptions of the various locales posted on a wall near the map. It makes us smile, and it’s a great conversation piece! That is a great idea. National Geographic has such a wonderful variety of maps. I may have to check into them myself, since my grandsons are approaching an age, where having a map on the wall could prove to be very educational. When my oldest son was 6, we gave him a globe for Christmas. He loved it. We played all kinds of games with it and as a result, he gained an interest in geography at a young age. Kudos to you for a wonderful share! 🙂 Good job … and it looks good, especially beside your book shelf. When our daughter Maia was young, we had a nice globe, and it was indeed fun and educational. When we saw these wall maps, one of our first thoughts was how great they’d be for kids. Barbra and I learned things even as we were putting it up! Thanks. I went to check out your eBook. Very interesting. It’s a book to keep in mind as our photography evolves. It looks very well presented. I like that there are videos to accompany the text. Yes I recommend it to everyone that like photography as much as me. Can you please add my link to your blog also. Thanks again for sharing. Have a great day. Wow, that’s a big, beautiful map! I got a globe for Christmas one year when I was a kid and thought it was the coolest thing ever. That is a fantastic idea – now I need a bigger wall! We’ve been looking for a nice wall map. Yours is a beauty! Perfect size for that wall. I’m inspired to keep hunting for one to fit in our place. That is a great map! I have been looking for something along those lines – never even thought of National Geographic, but that makes so much sense! May not be what the doctor ordered for my wanderlust….but the daydreams and travel planning will certainly be getting bigger! It’s funny, but we looked all over for the map we had in mind, and didn’t think of National Geographic right away either. What a map to dream with though. Oh man, we need that map. We have a world map shower curtain that Bix, the geographer, always stares at.